The other day, my colleagues and I were discussing an article about WeWork raising $4.4 billion from Softbank, at a valuation of over $20 billion. Our primary question was that WeWork is a real estate play, an asset intensive business model, so what would be the value creation drivers beyond the low rental yields? A couple of days later, I happened to visit the upcoming WeWork facility in BKC, Mumbai: a 190K sq.ft. space that would house 2000-seats on rent. The rack rate prices for the private offices are Rs 40,000 per seat per month; even with some deep discounting for volume buyers and first-movers, we are looking at monthly revenues of about Rs 60 million when fully occupied. The rental cost for the building is about Rs 43 million, as per this news report, thus providing about 28% gross margin. After you account for utilities, operations and maintenance expenses, and also all the other “community building” expenses, operating margins would likely be in the low 2-digits. Don’t get me wrong. For an asset business model, these economics appear to be quite good. Of course, there is some element of capital risk, particularly if demand and/or pricing are affected adversely. If managed well, it can be a steady state, long-term business. This is, as such, no different from running a shopping mall or a co-location data centre. In recent times, many other co-working spaces have received investments from investors who usually have a bias towards technology and steep hockey-stick growth curves. So, what makes WeWork (and other similar) such an exciting “startup”? I must admit that I am unable to see the co-working business model, in its current form, creating any more value than a typical real-estate, steady, low-yield model. Asset Builders invest capital (either through ownership or long-term leases / commitments) to create physical assets that are used to build products (e.g. cars, soaps, phones, etc.) or to offer services (e.g. airlines, hotels, malls, etc.). Since they create “capacity” and have a very high fixed-cost structure, profitability increases with greater capacity utilisation. How can Asset Builders enhance value? Let us look at a couple of options, using WeWork as an illustration. It is quite obvious that reducing unit cost has a direct and significant impact on profitability for Asset Builders. In particular, capital costs can be reduced through the use of new, more efficient technology, better sourcing, accessing lower-cost capital, etc. In the case of WeWork, I believe that they can dramatically reduce their cost per square foot which would enable better pricing and therefore, the virtuous cycle of higher volume which can in turn lower costs further. WeWork should use its capital / volume to create new business districts rather than moving into existing, expensive and crowded CBDs. Businesses, particularly smaller ones, tend to prefer clusters of their eco-systems; that works well for customers, suppliers and employees. Co-working tends to creates clusters of dozens / hundreds of businesses that tend to do business with each other. 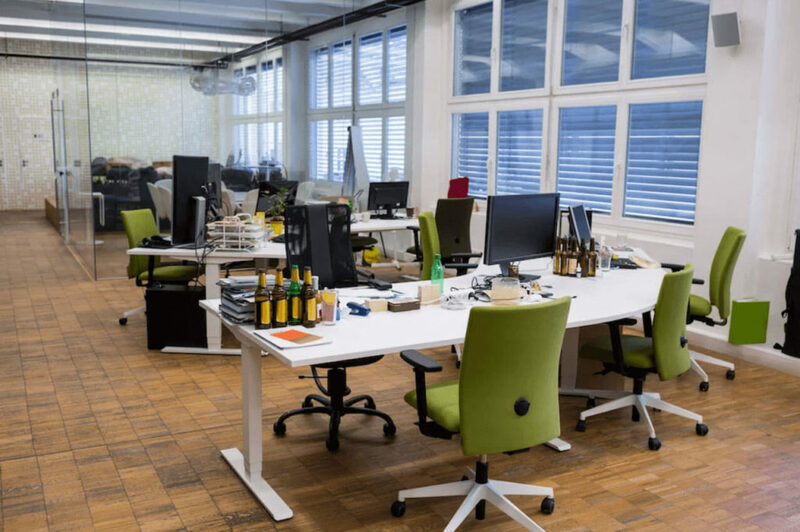 In a way, co-working spaces can act as the equivalent of the IT Parks / SEZs in shifting the centre of business gravity to relatively new locations that are cheaper and spacious. Towards this, they could work with large real-estate developers who are trying to create new smart cities on the fringes of the top metros. While this approach would surely increase margins in the long-term, there is still the fact that there are limits to economies of scale and the Asset Builder business model requires additional capital for growth. Uber and Airbnb compete in Asset Builder businesses of transportation and hospitality, respectively. However, they are not Asset Builders. They are Network Orchestrators who enable real-time discovery and efficient use of highly fragmented (over) capacity in the industry. Therefore, their market/business opportunity is not constrained by their ability to invest capital to create capacity. What would be the equivalent of Uber for office space? Here is a possibility: a network of hot desks that you could book by the hour / day anywhere that you need to work. Who would be customers? An increasing army of freelancers, professionals, entrepreneurs and small businesses could find this model efficient. Even corporates would find efficiency gains of spreading (some parts of) their work-force, closer to where their customers/partners are, or where their employees live. Who would be suppliers? Most offices have empty / unused desks at any point in time that they might want to monetize. Over time, investors would create new office spaces that cater only to hot desk / pay per use customers. Eventually, many corporate offices could be designed to support hot design (they are already doing it for internal users, maybe some capacity would be opened up for external users). Does this sound crazy? Maybe! But, a few years ago, we would have pooh-poohed the idea of letting some unknown person rent the living room couch or an extra bedroom for the night. And here we are. I am sure there are many other ideas for co-working space business models, and Asset Builders in general. I would love to hear your thoughts on how asset-intensive businesses can create more value.